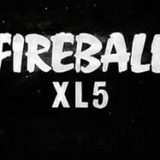 Fireball XL5 was created by Gerry and Sylvia Anderson. The Forbidden planet – Professor Matic and Dr Stamp are working on a space station which will monitor other planets. However, the close planet of Nutopia does not like this kind of intrusion and abducts them. 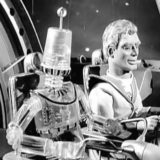 It’s up to Steve, Venus and Fireball XL5 to come and rescue them. Drama at Space City – Steve and Venus leave Zoonie to Commander Zero’s son Jonathan while on vacation. 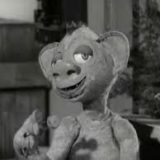 One night, Jonathan and Zoonie go on board Fireball XL5 while the Professor is asleep and accidentally order Robert to blast off the spaceship.